Located on the banks of the Susquehanna River, McCalls Ferry Farm is dedicated to sustainable farming practices to protect its clean water, pure air and historical land for future generations. McCalls Ferry Farm is family-owned and family-operated by the Kilgore family. The Kilgores have been involved in farming for all of their lives and have a keen understanding of how to take care of the land and the environment. We care for our animals. primarily grass-fed. This results in a premium product offered. The Kilgores take pride in the care they give their animals and the quality of the beef produced. We care for our family. The Kilgore family is proud to be the second and third generation of farmers located on the historic McCall Farm located in southern York County, Pennsylvania. Adding pasture-raised beef to the farm has been an endeavor to secure a strong future for additional generations of Kilgores. 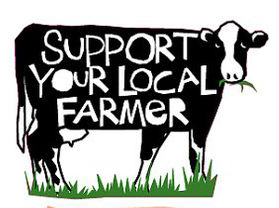 We produce premium, local beef and pork. If you are looking for locally-produced, delicious beef and pork, search no further. 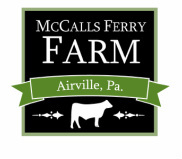 McCalls Ferry Farm is proud to offer a variety of premium beef cuts and specialty products. Beef and pork is available for local sales in northern Virginia and southcentral Pennsylvania. Also be sure to try some of our tried-and-true beef recipes, straight from the Kilgore kitchen.